Fund for Assistance to the ROCOR - Haiti: Thanks to you, children now have a classroom to study in! 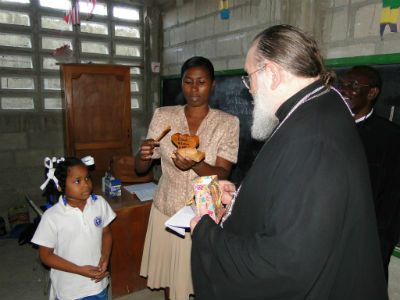 A school student greets Metropolitan Hilarion in Haiti. 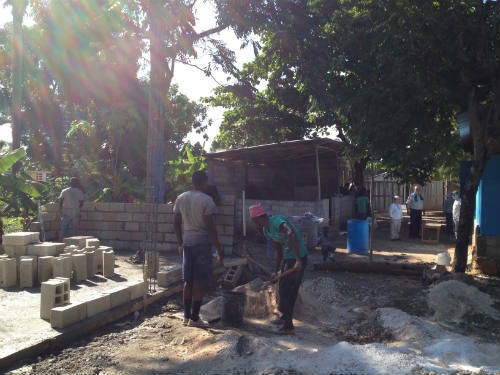 Your support allowed a group of volunteers to build a schoolroom in Jacmel. 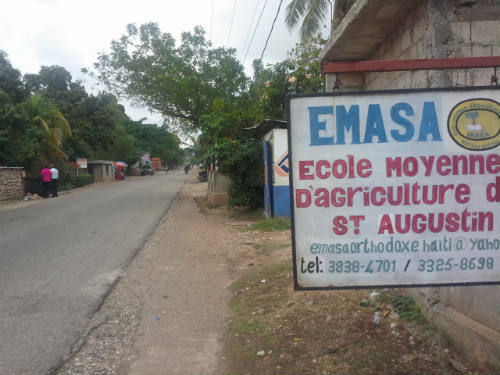 “If it hadn’t been for these schools, some of these kids would have been living on the streets,” said Archpriest Alexandr Antchoutine, who visited Haiti with the group. Thanks to kind people like you, the children at the St. Augustine school now have a roof over their heads when they come to classes. They no longer study in a tent. Thank you! Thank you for supporting our suffering brethren in Haiti! Haitian students greet Metropolitan Hilarion, First Hierarch of ROCOR. School at the parish of St Augustine. 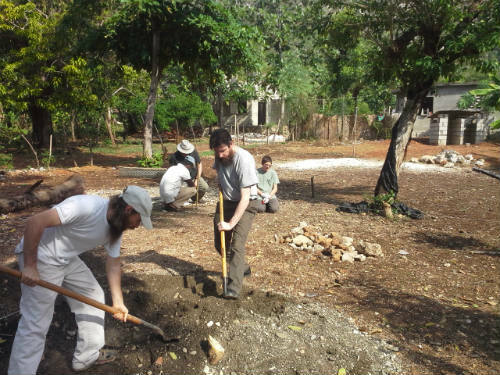 Volunteers building a classroom for the students of the parish school in Jacmel.